Mr Bueno is a sometimes writer, musician, and digital artist. He treats art as Magick. He currently lives and works in Cambridge, England. Alex Jones represents the dumming-down of rebellion and a co-opting of the unestablished order of counter cultural forces. He stands as a pied piper at the gates of hell, ready to lead you along myriad blind allies of stupidities and cultural divisions. A provider of easy targets for the prejudices of the disillusioned, discontent and angry. For those who know and remember, there have long been loose knit counter cultural movements that have worked tirelessly and fearlessly to expose the wrong doings of corrupt governments and systems around the world. They have protested loudly against corruption, criminal wars, blatant lies and the propaganda that has been employed to keep citizens, who knows perhaps even you, pacified and under control. They have, in the main, been peaceful, implacable and above all inclusive and tolerant. This zealot would have you believe that all those counter cultural forces that have been pushing back against a corrupt system are actually tools of that self-same system. If that were the case, why one may ask, was the counter-intelligence program specifically tasked with attacking and disrupting the counter culture movement and black activists? Something in your narrative Mr Alex Jones, just doesn’t add up. Now why would that be? Many citizens around the world are now awakening to the fact that, for many, many years, in fact for much of history, those in control of governments and business have been solely concerned with greasing their own palms and using tools of communication such as television, radio and newspapers as methods to keep populations asleep as to their true intentions, whilst at the same time disseminating information that often serves to encourage people to act en-masse against their own best interests. With the advent of the digital age and the birth of social media, the suppression of the flow of information has become more or less impossible - save at the barrel of a gun - serving as a precursor to the sudden awakening of huge segments of the population to the fact that they are often being lied to on a massive scale. Understandably people are angry. However, there is now a mass of information to drown in. Much of this information is useful, much of it useless and much of it downright deceitful. When we find that the outlets of ‘news’ and information that we have previously trusted are sorely lacking and perhaps even poisonous to our psychological well-being, where is it that we turn for clarity and trusted sources? How do we assess the tsunami of information headed towards us and ascertain facts from opinion and again reasoned opinion from mere fluff? We all know, deep down, that there was something deeply troubling with the story we were told about the events of 9/11. We don’t have to believe in the wilder conspiracy theories about that day and the events leading up to it, to know that something wasn’t quite right. We all know some Western governments allowed their populations to somehow believe that Saddam Hussein was in some way responsible for the bombing of the twin towers, hence galvanizing public opinion, especially in the USA, in favor of a costly prolonged war. A war that has served as nothing more than to have created today, the exact situation across a huge region of the planet that we were originally lead to believe that we were going to confront in the first place. The truth is that that problem wasn’t there over a decade ago. We have given birth to a monster, which fifteen years ago was but a pregnant demonic spectre in the imaginations of the leaders who sent our peers, friends and family members into a war that needn’t have been fought. The death and destruction of the lives of hundreds and thousands of men, women and children. What the hell were we fighting for? It wasn't even for the oil. Before the 2003 invasion of Iraq, Al-Qaeda simply didn’t exist in Iraq. It didn’t exist in Iraq at all. So, when we hear a self-proclaimed freedom fighter raising many of the issues which over the last fifteen or so years have made us feel uneasy and often downright angry, it is easy to sympathize and imagine he is speaking for the common man, woman or child. But is he really speaking for us all? Mr Alex Jones professes to believe in freedom – freedom of speech and freedom from oppressive government. Alex Jones was an early cheerleader for Edward Snowden who so fearlessly exposed the invasion of our western governments into our personal lives via digital means. Now Mr Jones has moved his allegiances to back prospective Republican presidential nominee Donald Trump. And what is Donald Trump’s view on Edward Snowden and how he should be dealt with? He believes Snowden should face trial and perhaps execution. Now, as Jones was originally calling the government traitorous for their snooping, as exposed by Snowden, how does he square that with support for someone that is calling for increased surveillance and the execution of a fellow patriot and freedom fighter who was upholding his oath to the constitution? Jones reels in many an aggrieved listener and viewer with his anti-big government, anti-corporate, anti-system diatribes, however his favorite conspiracies often serve as a foil for legitimate concerns. Take for example, a favorite topic of Alex Jones, the Chemtrail conspiracy, whereby governments are said to be poisoning the human race and the planet via chemicals added to the fuel of military and passenger jets which are then dispersed via vapor trail plumes from the engines. Never mind that this would be a singularly ineffective way to dose a given area in poison and, more to the point, that the presence of persistent jet exhausts or contrails in the atmosphere is wholly supported by good science without the need for an all pervading deadly conspiracy to explain their presence. Those who Jones encourages to engage their time investigating this supposed conspiracy, may otherwise find themselves part of the movement against the more pressing (and demonstrably real) problem of air pollution caused by jet engines and automobile usage. Instead Jones leads non thinkers down a garden path where our leaders are supposedly engaged in a plot to poison a planet and eco-system that also sustains themselves and their own families. One of Jones’ ways of accounting for this anomaly is that many of our leaders are actually in communication with ‘alien intelligence’ and are planning to leave this planet to live “off world” in a trans-humanist paradise once they have merged with machines. Well, I suppose it’s obvious, isn’t it? Another benefit for Jones of conspiracies such as chemtrails, is that it gives him a chance to give his range of health products a push on the basis that the government is trying to poison you and you need to take action to protect yourself. Just like a snake oil salesman, Jones introduces a problem that doesn’t exist and then provides miracle cures for all ills. ...whilst at the same time applying to have a sea wall built next to one of his golf courses in Ireland to mitigate the risk of flooding caused by rising sea levels which is being caused by climate change. So in the world of Donald Trump climate change does and doesn’t exist at the same time. It's a bit like Schrodinger's Cat which can be alive an dead at the same time, except it's not a cat in a box with a poison pellet that can activate at any point, it's Donald Trump's mind which can spew any information at any random moment and the contents of any statement can be in complete contradiction to any previous or future statement. There are a lot of things we don’t know about Donald Trump. What we do know of course, is that if there is a sea wall, it will be a big, beautiful sea wall. Alex Jones is Trump’s biggest cheerleader and his influence, like it or not is playing a big part in the trajectory of this U.S. election cycle. So much so that Trump’s “ex campaign manager” is regularly popping up on Jones daily Infowars radio show (which is also televised live on the web) with exclusive “inside baseball” reports from the Trump campaign. It could very well be that Roger Stone understands that the burgeoning anti-establishment, right wing patriot tea party constituency could be the deciding factor in this U.S. election cycle. Stone proclaiming he is an ex Trump insider, now fighting the ‘outsiders’ cause, outside of the Trump camp, gives Trump plausible deniability of not being to too close to Jones and his wilder flights of conspiracy theory, whilst at the same time giving Trump the anti-establishment credentials required for his run and a voice inside the conspiracy movement. For Stone to claim that he himself is anti-establishment is a wheeze that only the most ardent of Jones believers could fall for. He has worked on campaigns responsible for the election of Nixon, Reagan and Dubya Bush. Arguably the three presidents who have done more to trash the U.S. constitution and wage war against their own citizens and those of other countries, via a variety of means, than any others in history. "I remember going through the cafeteria line and telling every kid that Nixon was in favor of school on Saturdays...It was my first political trick". "[I] built alliances and put all my serious challengers on my ticket. Then I recruited the most unpopular guy in the school to run against me. You think that's mean? No, it's smart." Stone has built a career out of manipulation, underhand techniques and lying. He’s a natural bedfellow, for both Trump and Jones. It’s a win-win for everyone. Jones gets the ‘respectability’ of having the Republican presidential nominee as an endorser of his brand and with that increased ratings, advertising revenues and customers for his infowars life, health product range. The association by proxy of Stone with Jones serves to give Trump a bona fide boost to his image as an outsider not of the political elite (quite a feat for a billionaire from New York, wouldn’t you say?) and Stone once again burnishes his reputation as a man that will do and say anything and make alliances with anyone to get his job done, a ruthless and efficient political operator second to none in his field. That field being the field of lying. Trump himself has even appeared on Jones show for an extended interview, where Jones kid gloved him with the lightest of interrogations and fawning adulation. The whole spectacle was an embarrassment and should be used as an example of the woeful level of Trump’s adequacy for office on a regular basis throughout the campaign. The trouble is, there is so much intrigue that the U.S. state has got itself involved in over the decades that the establishment appears reticent to give Jones the oxygen of publicity, perhaps lest he shines light on the many occasions when they have been caught red handed with their hands inside the cookie jar, or worse. With this being the case, Jones appears to be living by the maxim that if you throw enough faeces at a target, some of it’s going to stick, so the quality of what misses, isn’t really a problem. They aren’t going to say anything because they don’t want people to know he is there saying what he’s saying. Jones has perfected a range of old time skills for his radio show routines, including the cold calling technique, much beloved by mediums and psychics. Any regular viewer or listener of his shows will know that Jones is forever making predictions of ‘big’ events that are about to happen, mainly terrifying things, such as terrorist bombings, wars, the imposition of martial law etc. If you make enough broad predictions, you are eventually going to get something pretty close to the mark. An overwhelming majority of his predictions disappear into the ether. When he is in the ballpark, Jones milks it for all the ‘told you so’s’ he can get while conveniently omitting to remind his listeners he has an extremely poor hit rate for someone who supposedly has the inside baseball on so much secret intelligence. The Ebola virus outbreak was an especial god send for Jones and a chance to make many predictions of impending apocalypse whilst encouraging his audience to stock up on supplies to see the crisis through. He featured a doctor on one show who called in to say that people with the virus in the U.S. were being ‘disappeared’ by the government to god knows where. This was a line that was repeated multiple times, however, no families ever spoke out to ask for their loved ones back and there were no reports of missing people in other media, so one can only assume that this was another made up story that didn’t need to be followed up after the initial fling. The terror had done its job, regardless of facts. One effect of keeping individuals in a constant state of heightened fear is that it makes them more suggestible, it’s a widely utilized brain washing technique. Of course, there is a case for saying that main stream media engages in this tactic but Jones takes it and ramps the dial up to eleven. This sort of conditioning certainly goes a long way to explain the lack of critical functioning of Jones target audience and it’s susceptibility to the more outlandish nonsense that Jones peddles. It also explains why people believe a lot of the nonsense they read in newspapers and see on television every day. 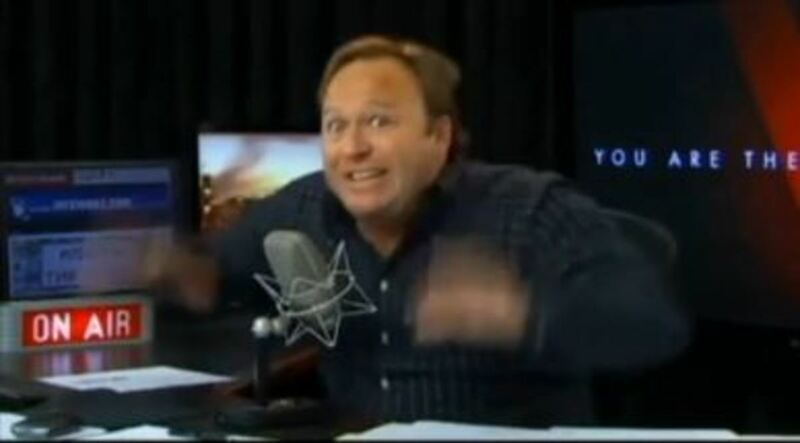 The Jones business model appears to be to include just enough verifiable information and reasonable concern in each broadcast for Jones to sound somewhat plausible and then build up the emotional rhetoric to a state of anger and fear where extreme prejudicial view points and downright falsehoods can be inserted into the minds of viewers and listeners, whilst bypassing their critical and analytical faculties. This has been a favorite tool of demagogues and crazy cult leaders through the ages, be it Hitler at the Nuremberg Rally or Jim Jones surrounded by his faithful adherents of The People’s Temple. In the case of Jim Jones, it all ended when he led his followers to the promised land in Guyana before they were either willingly or forcefully administered cyanide laced Kool-Aid in a mass suicide/murder scenario, whilst a U.S. senator who had arrived at the scene in an attempt to help Jim Jones deluded followers escape their grisly fate, was shot dead in cold blood. It may be worth noting that the Jonestown Massacre was the largest single loss of U.S. civilian life in the modern era before the events of September 11, 2001. This sort of emotional and mental conditioning never ends well, and there is a reasonable case to be made that Alex Jones and Donald Trump are actually engaging in ‘stochastic terrorism’ knowing full well that there is a statistical probability that their reckless use of rhetoric will encourage violent actions by a handful of their millions of supporters but exactly who will commit these acts is individually far more unpredictable. Of course, such an argument put to Trump or Jones would be ridiculed and fobbed off as an attack on freedom of speech. It is interesting to see how things have panned out over the last few months and how Trump has been accused of using his speeches to spark trouble during the course of the campaign. Make no mistake, the cookie cutter template of emotional manipulation and mind control is hard at work both on the set of infowars.com and amongst the pages and videos that comprise its website offering. Should the People’s Temple have a spiritual heir and Jonestown be a place that still exists on this planet, then surely it exists once more in the hearts and minds of those who hang onto and believe in every word of the appropriately named Alex Jones. Indeed, Jones has taken on occasion to flashing up images of Jim Jones behind him whilst he presents his daily show, which one can only imagine is a grotesque prank, the real reason for which Jones knows most of his followers will never pick up on. A quick scan of the comments section of infowars.com ‘news’ articles, reveals the type of viewpoints the operation serves to be fomenting, a sickly soup of hate, racism, misogyny and stupidity. In this section, even Jones himself is not immune from charges of being a paid CIA shill, a puppet of the Zionists and an apologist for the state of Israel and Jews in general. There is indeed equal opportunity prejudice and intolerance laid bare in this section for the whole world to see. Becoming more prominent in the comments section over the course the last year have been the supporters of Trump, goaded on by Alex Jones, where once there would have been the much milder and in comparison almost intellectual supporters of Ron and Rand Paul. Quite why Trump’s opponents have not seized on the anti-Muslim, anti-Semitic, racial baiting, women hating fury fest of one of Trump’s most high profile media proponents is somewhat of a mystery. Let us be charitably non-conspiratorial in our assessment and say that perhaps they just haven’t thought of it. Another common theme for speculation in the forum section are the links between infowars and the shadowy "private intelligence agency” Stratfor, coincidentally also headquartered in Austin, Texas. Of course it’s a small world, especially in Austin and what could be more natural than a counter culture, anti-government broadcasting operation, courting and employing staff from a private intelligence firm whose employers have links and employment histories with government, military, intelligence and security agencies. At the very least, it makes a convenient avenue to get some ‘inside baseball’ via old contacts still in the game. I’m sure you can forgive Jones viewers and listeners who have been fed a diet of conspiracy and intrigue year after year, for having suspicions that, perhaps all is not as it professes to appear at infowars HQ. Jones likes to play the ‘you’re either for us or against us’ trick so beloved of George W. Bush in his fight against terror. Jones narrative goes that if you aren’t for Trump, you aren’t against the establishment. That if you aren’t voting Trump you must be for Hilary. And even if you aren’t for Hillary, and you are for Bernie, however well-intentioned Bernie may be, he’s a socialist, and a socialist is just a puppet of the worldwide communist plot to take over the world. And as the communist plot to take over the world is actually the New World Order plot in disguise and vice versa, whatever you believe in, if it isn’t a vote for trump it’s a vote for the plot to take over the world and the total enslavement of humanity. It seems to come as a shock to many who have arrived at the anti-establishment end of the political spectrum via Alex Jones and other similar channels, that they could have been so used and lied to by the political elite. To you I would say, welcome to the party. To paraphrase an earlier writer on matters of conspiracy and political intrigue - a writer who thought, wrote and communicated with far more clarity, lucidity, humor and common sense about such matters (that writer being Robert Anton Wilson), – when two human beings get together to make plans for business and politics, they rarely do it for the benefit of the common man. The only person who ultimately controls your own reality is you. You can make your world the most fun, hopeful and inspiring place to live, or you can fill it full of fear, demons and terror, where behind every door is a monster waiting to take away your heart, your soul, the cash from your pocket, your freedom and ultimately your very humanity. When you sense that monster behind the door you are sensing worlds being built for you by the likes of Alex Jones and Donald Trump. Two vampires who are adept at accessing the very worst that the depths of your own psyche has to offer, who then direct the negative energy this generates from their audiences in very specific directions, in order to achieve their own desperate hunger for wealth, power and control. You need to ask yourself, is that a world I really want to inhabit, and is that a paradigm that I shall willingly choose to allow my emotional energies to be used to build, with no pay off in return, bar a state of permanent fear and paranoia? What is clear is that the neoliberal political consensus in the Western world is being tested by a seismic shift in the political landscape that has caught the technocrats off guard. In the United States, those who have ruled the military game for so long, whatever the party flavor of the sitting president, are being squeezed out of the political fray by shifting demographics. We would be foolish to believe that they will give up power so easily. Those who have no respect for democracy outside their own borders when it does not do their own bidding, will have little respect for democracy within their own borders when it fails to meet and further their own ends. 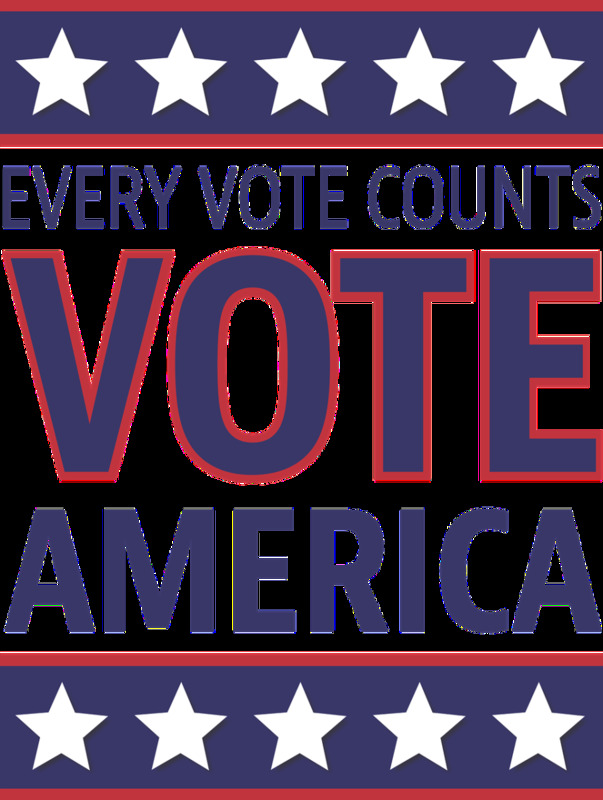 Be under no illusion, democracy is in peril in the United States and it is in peril from exactly those people on the right of the political spectrum who are currently shouting ‘Freedom’ the loudest and protesting that the current system isn’t working. We all know in the West that many of our government’s domestic and foreign policies are failing, or failing that, broken beyond repair. We need however to be extremely wary of who is behind the emerging political parties, activist groups and media outlets and what resources they have to hand and for whose benefit those resources are intended to be used. There is a shadowy group in existence that has a plan……. They need a man to help them wrestle control from the coming pluralistic order, one who isn’t seen by the majority to be beholden to the elite interests and privilege of yesteryear. A man who will do what has to be done without worrying about being politically correct, or even for that matter, correct in any way at all. A man who has no problem in lying through his teeth and is so polished at lying he can get millions to not worry that all he is, in fact, is a liar through and through. A man who knows that after decades of being lied to, a large swathe of the U.S. electorate don’t believe anything they hear anymore anyway, so it matters not what the liar says as anything is more believable than someone in ‘insider’ politics who is supposed to be pretending to tell the truth. A man who would willingly utilize the media platform of an individual who has been engaged in the dissemination of untruths on a massive scale which have served to obscure further the truth behind some of the most critical issues of our time. Donald Trump, a man who would befriend Alex Jones and in the process Jones would throw under the bus all his previous moral platitudes in return for vain-glory and increased revenues. Could Alex Jones Infowars be a tool that has been slowly paving the way for a time when it is necessary for dissent to be fomented, in order for a popular political uprising to deliver a less democratic form of power into the hands of some very unsavoury characters? With all the unsavory characters that seem to swirl around the infowars brand, could there be a plot akin to the failed 1934 fascist Business Plot coup attempt to overthrow the Roosevelt administration? And if there is a fascist plot being hatched, will there be a Smedley Butler to save the day? Alex Jones, a man who cries freedom of speech and then supports a presidential candidate who supports closing down parts of the internet to achieve his objectives. Alex Jones, a man who reported widely on and derided the CIA for their extraordinary rendition and torture program and now supports a presidential candidate who extolls the virtues of torture and thinks the U.S. needs to go even further in its use of it. Alex Jones, a pied piper at the gates of hell, ready to lead the unwilling – who knows, perhaps even you – into the valley of darkness, into the abyss. Boom! "The Art of the Deal"
Great job. These guys are truly ridiculous. Roger Stone is a really bad guy. I was happy when CNN and other networks stopped having him on. Sharing everywhere.